Despite over half a year of rumors, leaks and speculation, it wasn’t until last week that I finally came around to believing the iPhone 8 will be the first phone from Apple to tote wireless charging. Wandering the halls of IFA 2017 - Europe’s largest tech conference, which Apple doesn’t attend - I became convinced the iPhone 8 will have wireless charging built-in. The last year has seen Apple join the Wireless Power Consortium - the overseeing body for the Qi over-the-air charging tech – as well as a plethora of rumors and dummy iPhone 8 units making it almost certain the iPhone 8 will pack it, but I still wanted more proof. I spoke to a variety of companies and case manufacturers who alluded to the iPhone 8 and how their limited knowledge of Apple’s plans have led them to believe the phone would possess the ability to charge without a cable. A number of case manufacturers seemed nigh on certain at least one of the iPhones Apple launches on September 12 will come with wireless charging ready to go. One company in particular, which asked to remain anonymous, should have insider knowledge of what’s happening at Apple. Even though this case manufacturer is almost certain Apple is ready to embrace the tech, it isn’t certain how many devices the company plans to launch later this month. At the moment there looks to be three devices - the iPhone 8, an iPhone 7S and an iPhone 7S Plus. It may be the company decides to rename these though and we may see an iPhone 8, iPhone 8 Plus and either an iPhone X or iPhone Edition, according to one rumor we saw over the weekend. 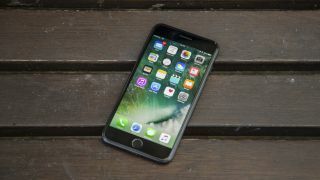 Our source was particularly uncertain whether all the devices would be able to tote the tech, but according to companies I spoke to at IFA the high-end iPhone Edition is almost certain to have it. What else is uncertain is what tech Apple plans to use. Some of our sources pointed towards Apple being part of the Wireless Power Consortium suggesting it will use Qi charging, but that may be only part of the tech the company is planning to use. Apple may decide to use two different technologies to charge up the phone at the same time or the company may even be able to do more than previous devices have been able to with patents suggesting it’s looking at room scale charging tech that would be able to pump power into your device from up to 15 meters away. How will Apple do it? Apple almost certainly won’t have made a breakthrough with this tech yet though. We expect it to take at least a few more years until it becomes a reality, but establishing wireless charging now on the iPhone 8 may put it in good stead for when room scale charging is possible. The iPhone 8 feeling at IFA was clearly tied toward wireless charging. Many dummy units were spotted throughout the show that other case manufacturers use for designing the protective cases early. It’s always a dangerous game producing those early though as Apple may be prone to change the design of the phone right up until the last minute. You’ll have to wait until Tuesday September 12 to know for certain whether wireless charging will be on Apple produced handsets, but I’m convinced right now.